I follow Shabby Fabrics on IG and love them! Besides quilting and sewing, I enjoy reading fiction...and shopping for fabric! Quilting is my life! But I do like bike riding in the summer months. Family history is the other activity that claims my time and attention. thanks for this great giveaway. Shopping for fabric has got to be the second favorite. I follow Shabby Fabrics newsletter and IG. I like reading and volunteering for my church. When not quilting, I love getting outdoors for hikes in the mountains that surround us. Going with good friends, and seeing the unexpected is what draws me back the next time! I've been following Shabby Fabrics on FB, Twitter, and IG. And their newsletter! My first love is baking, but quilting is way better for my health! I love to knit also and do some papercrafting. And I read their blog and follow on Instagram. I have finally gotten back into reading. I just finished reading The Magnolia Story and I LOVED it! Hi, thanks for the great give away! I love to quilt and watch movies. I follow Shabby Fabrics via FB, Bloglovin, and email. HAPPY TO FOLLOW SHABBY FABRICS,FB,GMAIL! Spending time with my cats and listening to music are some of my favorite activities. I'm following the blog and on Facebook. When not sewing, my husband and I enjoy going to the movies. I follow Shabby Fabrics on FB, IG, and Pinterest. I love to read and spend time with my grandchildren. I love to read and play the piano or harp! I like taking fitness classes. Which is good, because I also like to bake! 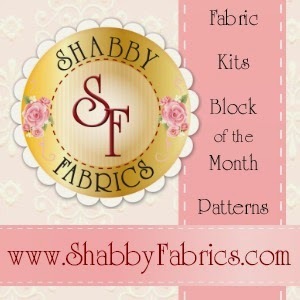 I follow Shabby Fabrics' through their newsletter and follow their blog through Feedly. Thanks for the chance ~ fingers crossed! I love to garden as well as quilt. So nice to have a pantry/freezer filled with our own veggies for the winter. Besides quilting, I enjoy Knitting and scrapbooking. I receive Shabby Fabrics newsletter and catalog. Reading is my other favorite hobby. Quilting is really my only hobby of creation. I do read a lot if that is considered a hobby. I would love to garden, but it never seems to work out for me. I enjoy gardening and canning very much, I also have a passion for reading. I have an immense stocked pantry and book shelves! I could never be more fulfilled! I don't have another hobby that even comes close to quilting. But I like to read scary mysteries. I love to bike & swim! I love to read. Give me a god book and a quiet afternoon and I'm in heaven. I'm a newsletter subscriber of Shabby Fabrics. Thank you. I follow Shabby Fabrics on Facebook and newsletter. I follow Shabby Fabrics on YouTube and by newsletter. I enjoy cooking. I love to take my mothers southern recipes and tweak them into healthier meals. 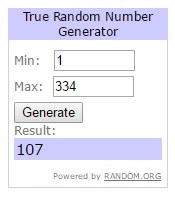 Thank you for the generous giveaway! My family and I love to go camping thru-out the year. That is our relaxing time. Besides quilting, sewing, coloring, drawing, painting, fabric art, I also love cooking. Gardening is my favourite hobby after quilting. I collect and restore antique treadle machines and antique/vintage toy machines. So much fun when you get them back up and running. (I try to make a quilt project on each and every one before they find a new home - but I must admit, there are a few that I can't bear to part with. I work with a local choir as pianist and director...that's been alot of fun and very rewarding. Depends on the time of year! I LOVE to bake, knit, garden and decorate my home. It all depends on time of year, knit in the winter, garden all summer, etc. I have followed Shabby Fabrics via email for some time. Baking is my all time favorite hobby,second to quilting! I love to knit, also. I follow them on Bloglovin and email. I follow Shabby Fabrics via email (nettiecrain@live.com) and I watch their videos, and I order frequently from them! My biggest obsession is quilting but when I am not doing that, I love to bake goodies! I follow Shabby Fabrics via Instagram,utube and emails. When not quilting or sewing, I enjoy playing golf with my husband or playing card games with my grandchildren. I follow SF via email newsletter. I receive the Shabby Fabrics emails and enjoy there website as well. Glamping in our Airstream Bambi:-) Thanks! I love to crochet. Thank you for the great giveaway. I love doing embroidery or handwork in the evenings. Know that still counts as sewing, but it's my passion! Just signed up for their e-newsletter. Like how the site is organized! Thanks for the generous giveaway! I enjoy reading young adult novels. Recently I finished 'Summerlost' by Ally Condie. I love to cook also. I follow Shabby Fabrics on Facebook, Newsletters and You Tube. They are great aren't they!!! I enjoy reading; I always have at least one book I'm reading. I love to read and bake. I'm a reader, way before I was a quilter. I get their newsletter and subscribe to YouTube. A couple of my favorite holidays other than quilting are gardening, baking/cooking and photography. I have shown my shabby love by following their blog, following them on Facebook and visiting their shop! I love swimming and reading as well as spending time with my loved ones. 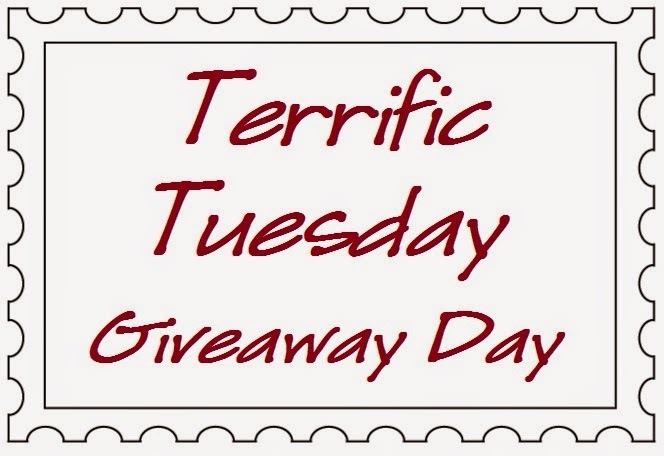 Thank you for your Tuesdays giveaways! Ahhhhhhh...other than quilting, eh. That would be dancing, we love to get out every couple of weeks dancing. I like reading and baking! I also enjoy crafting with yarn. Thank you so much for the giveaway. I love to read, especially murder mystery books. Aside from sewing, I love to read. Thanks for the chance! My favorite hobby other than quilting/sewing is baking. I love RVing. Of course that's not a real hobby. I read a lot of books and am a blogaholic - mostly on quilting. I follow Shabby Fabrics on FB, YouTube, Pinterest, and IG, and met Jennifer at the International Quilt Festival and have to say she is so sweet and helpful. I love puttering around in my garden - especially cleaning up my geranium blooms. Looking forward to that time again :)! Reading and gardening are my two other loves, as well as walking around the neighborhood in all seasons. I follow Shabby Fabric's Blog and Newsletter. I enjoy visiting their shop. Also love that each year (when signed up with your birth date) Shabby Fabrics will give you a discount on a 'birthday order'. I really find that special! I love to spend my evenings knitting, embroidering or doing needlepoint. I love to work in my garden. I followed them on Pinterest. My other passion is genealogy. Another massive time and space guzzler. Other than quilting, I'm a bird watcher! I like to travel to different sections of the country and find the birds that are typically seen in that area. I follow Shabby Fabrics by email, FB and, Instagram. I follow Shabby Fabrics!!! I get their email, their blog, pinterest and their catalog. I make jewelry from all the beads and findings I've gathered! Done and done! Love to walk! I discovered that making Wreaths was another craft that I truly enjoy doing. I just started making them this year and only managed to get 2 made for Christmas, but it was so much fun. I know that throughout this year and many years to come, I will be creating wreaths for all occasions. I just started following Shabby Fabrics on You Tube! I enjoy baking and reading. I read and also walk. I enjoy crafts of all sorts-from making wreaths, doing mosaic tiles, decorating mason jars, etc. everything is given away for gifts to friends, family, and co workers. i receive shabby fabrics newsletters and watch their very informative videos. Besides quilting & sewing I also enjoy scrapbooking & knitting! I love to upcycle vintage luggage and enjoy woodworking as well. 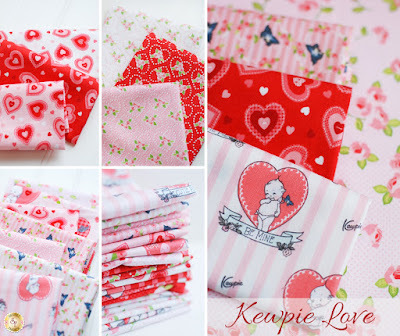 Shabby Fabrics is one of my favorites! I recieve their newsletter. Love to camp when I'm not sewing. Following Shabby Fabrics on Instagram. I LOVE to crochet also! I love to putter in the garden and find new plants to try. I follow Shabby Fabrics on FB and their blog. Shabby Fabrics is one of my favorites. I love to go to the beach and just hang out. We have pretty good weather year round so the beach is also nice to visit and relax. I love to cook funny and outrageous things. Shabby Fabrics carries Grunge. I love Grunge. Other than sewing/ quilting, I love reading, especially mysteries. I follow Shabby Fabrics via email & their newsletter. I follow Shabby Fabrics on Pinterest, and Instagram and get their newsletter. Besides quilting, I love shopping and hiking! One of my other favorite hobbies is reading. My other favorite hobby is jewelry making. It's a tossup, gardening, bird watching, cooking, puzzles, Shakespear or reading. I enjoy working in my flower gardens. Can't wait or spring, but right now I just quilt, quilt, and quilt. I love games, crossword puzzles and reading. Thanks! I love to read and work outside in my flower beds. 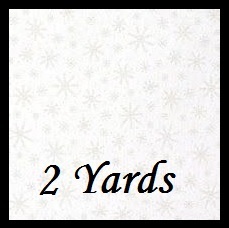 I love to machine knit or make greeting cards/scrapbooking when I am not quilting. My other favorite is playing with my grandson and just enjoying family. Hmm, I hate to have to pick just one hobby!! :) I love to read, crochet, tole paint, and the list goes one! !